My latest version of the lotus. Solid, bold, antiqued silver. 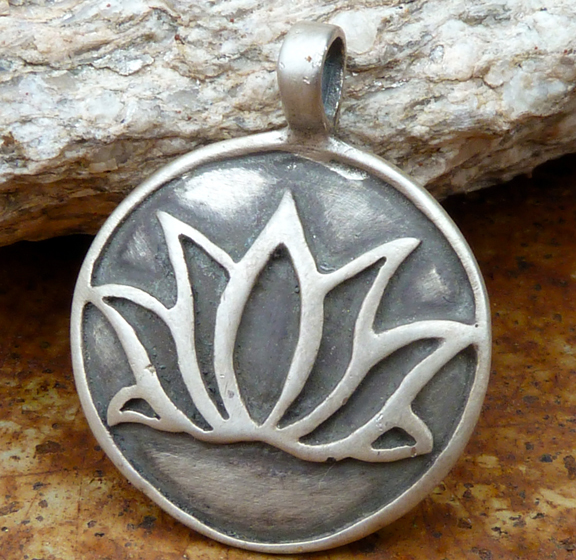 Lotus represents the blossoming of the mind/body/spirit. Perfect for your favorite yogi.